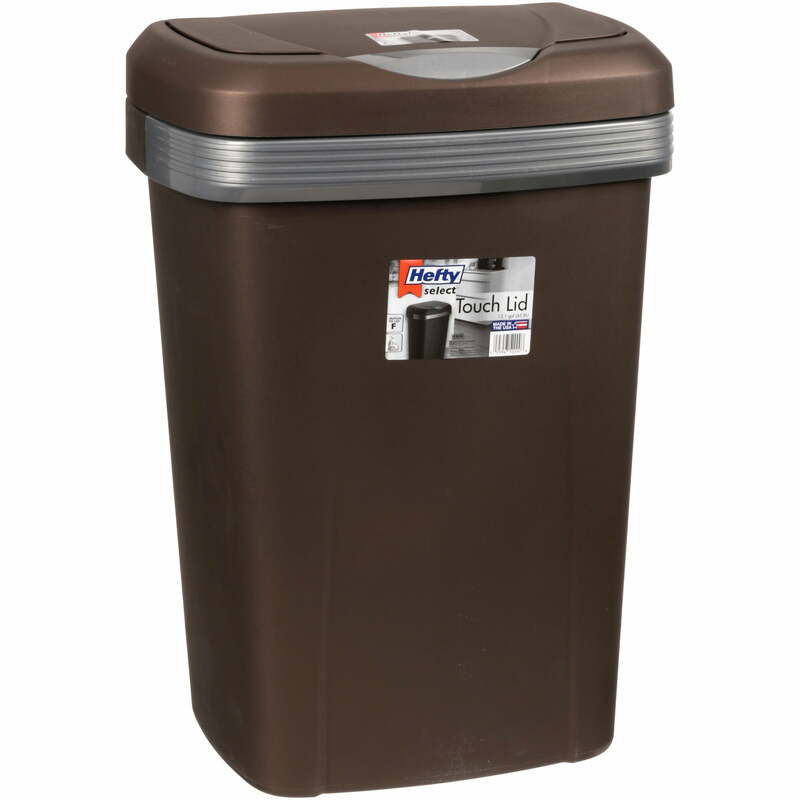 Add this Hefty Premium Touch Lid Trash Can to your home to help keep unsightly messes sealed away and free of odors. Opened fine at first. Not long after, longer and longer to open. Now: tap lid and count slow...1...2...3...4...5...6...opens. No way to just open it, you have to wait for the spring loaded lid to open in its own sweet time. When I finally get $24 worth of irritation out of it, I'll toss it to the dumpster with its contents. Home territory searches the web to find the best prices and availability on Trash Cans and related products foir your home like Hefty Premium Touch Lid 12.2-Gal Trash Can, Multiple Colors. For this page, related items include products we find that match the following keywords: "Trash Can|Garbage Can|Trash Bin" at our vendor partner Walmart - Click More Info / Buy Now to check for price rollbacks!. Hefty Premium Touch Lid 12.2-Gal Trash Can, Multiple Colors is one of 49 Trash Cans and related products available for sale through HomeTerritory.com, If you have any questions on this product, please give us a call at 734-971-1210 during the hours of 9am - 5pm EST for assistance. Thank you for shopping at Home Territory, the home furnishings superstore!